Protect your wine investment, beautifully with our Climate-controlled Wine Cabinets! Shipped right to your door anywhere in the country. Thank you for visiting Cru Wine Furnishings, where your collection comes to life with our world-class designs and woodworking. Our sister company, Grandeur Cellars, has been passionately designing and constructing commercial and residential wine rooms and wine cellars over the last decade. As the years progressed and partnerships evolved, we have experienced many opportunities to expand our brand to offer new conditioned wine furniture designs and unique wine related products. We strive to keep an innovative outlook and approach to the way we design, construct, and deliver our projects to each and every one of our clients. We know preserving the life and vitality of your wine is very important so our mission is to create exclusive designs built around your collection. 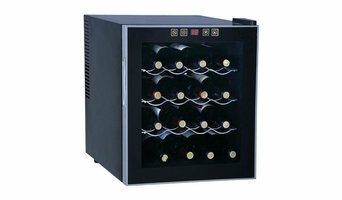 Conditioned wine cabinets are a combination of fine furniture and a conditioned environment for storing your wine. They are ideal for the home/condo owner who desires a conditioned environment but doesn’t have the convertible space for a traditional cellar. Our wine cabinets, like our cellars, are custom built to suit your needs and the available space. They can be simple cabinets to fit in a small space or can be elaborate, storing up to 500 bottles, and include bar facilities and cabinetry for storage. All that is needed is a little extra space in your living area and your vision of what you would like in that space. The other major advantage is that it is basically a piece of furniture and if for some reason you choose to move, it can move with you! 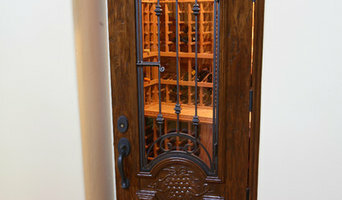 Classic Cellars is Austin's premiere wine cellar designer and builder. We have years of experience serving Texas home and business owners, and are excited to talk to you about your wine cellar needs. Call us today to connect with one of our experts and get started on your own custom wine cellar design! Wine Cellar Depot offers wine storage solutions, custom wine cellars as well as climatized wine cabinets, wine cellar cooling units, wine racks and more. Your Austin, TX wine cellar professional also will oversee the preparation of the target space (moisture barriers, ventilation and so forth) as well as the construction process. Wine cellar builders select and install the necessary equipment and surfaces, from racks and cabinetry to flooring and lighting, and often handle special security systems to protect a homeowner’s collection.